What Is the Wayfinder Festival? The Conference Festival subcommittee is excited to invite you to join us for the Wayfinder Festival, which will be held on Friday, August 3 from 12-5 pm. This festival replaces the previous Founder’s Day programs with one that will fully integrate the NOAC theme and elevate the delegate experience in a traditional music festival atmosphere. One of the highlights of the Wayfinder Festival will be the opportunity to share your lodge’s greatest program, skill, and/or activity to 8,000 Arrowmen from all across the nation. Your “Destiny Display” booth will allow your lodge to share best practices with other lodges across the country via electronic download. Lodges are encouraged to still incorporate local traditions, games, or landmarks in their displays as they have in previous NOAC festival events. We encourage each lodge to have fun and to be as creative as possible! We hope that the following will provide answers to common questions about the booths. We hope that every lodge creates a “Destiny Display” booth. We ask that all lodges indicate their preference through the NOAERS system to let us know in what capacity they wish to contribute to the program. Even if you cannot create a booth, please fill out the field and indicate so in your response. How does this booth differ from past Founder’s Day booths? The lodge booth leadership is working to create a system of file sharing in order to share best practices with all conference delegates. Otherwise, feel free to include the same displays, activities, games and local lodge flavor and fun as at previous NOACs! To participate, we ask that you email a pdf document of your lodge’s best practice(s) to WayfinderLodgeBooths@gmail.com by June 31st, 2018. What will we be provided for each booth? Lodges will be supplied (1) 10′ x 10′ pop-up tent, (1) 8′ table, and (2) chairs—the rest is up to you! Can I ship things to NOAC for the booth? No, you should plan to bring display items with you to NOAC or acquire them locally. Where will these booths be located? Booths will be located in Walnut Grove, which is located on N. Walnut Grove Street across from the McNutt Quadrangle parking lot. Parking arrangements for offloading booth supplies are in the works and will be shared in a future communcation or with booth instructions on site. No electrical outlets will be available for booths. Lodges are encouraged to explore the use of battery packs or portable solar panels if they need electricity for their booths. To prevent safety concerns, no generators, propane tanks, etc. will be allowed. Can we use fires or open flames? No. To facilitate a safe environment, Indiana University will not allow open flames. Lodges who are looking to conduct branding activities, for example, are encouraged to explore electric branding irons. All food must be in factory-sealed packaging (e.g., in cans, sealed bottles, factory vacuum-sealed packaging, etc.) to meet health and safety requirements. The university will not permit any cooking or the distribution of homemade food. How many Arrowmen will be needed to run the booth? We would ask that each lodge has 2-3 Arrowmen at the booth during the Wayfinder Festival; however, lodges are welcome to have additional delegates assist, if needed. For how long will our booth need to be staged and staffed? Lodges will be able to set up booths from 9:00 am to 11:00 am on Friday, August 3rd, and, although the start time of Wayfinder Festival will be around noon, it may be slightly variable depending upon the flow of other morning activities. Thus, we ask that booths be “guest ready” by 11:00 am on the day of the festival. The booths must be torn down completely at 5 pm on August 3rd. A standard close down process will be given at the time of booth set up. The university expects that any items brought to the booth will be removed and disposed of appropriately during tear down—please help us to be good citizens and guests of IU. How many Arrowmen are expected to see the booth? The Wayfinder Festival will be the feature event on Friday of NOAC and will take place throughout the day. Nearly all conference guests and staff are likely to pass through this area of Walnut Grove, so lodges will want to put together a thoughtful display. Plan to impress! 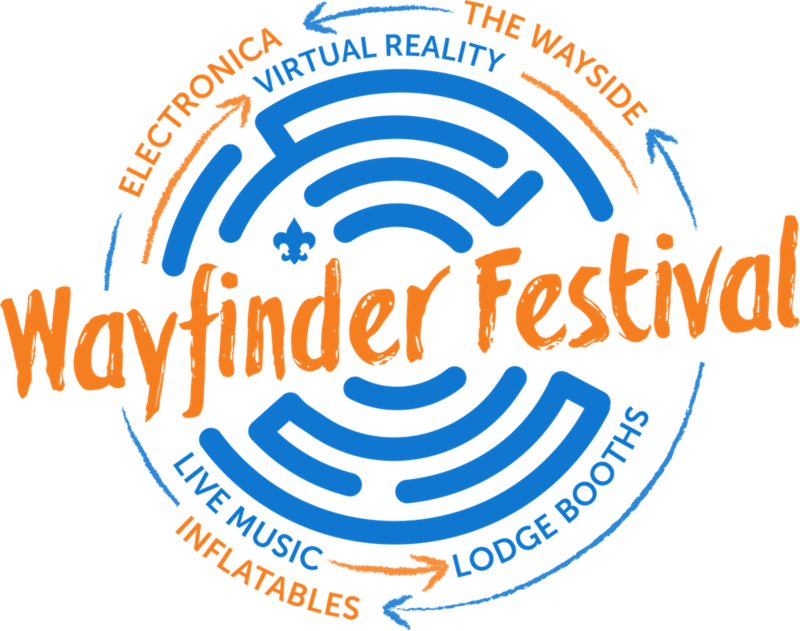 If you still have questions, please do not hesitate to contact the Wayfinder Festival Booth Lead, Kyle Silligman, at WayfinderLodgeBooths@gmail.com. The Conference Festival subcommittee looks forward to witnessing the innovative and exciting displays from each lodge across the nation!